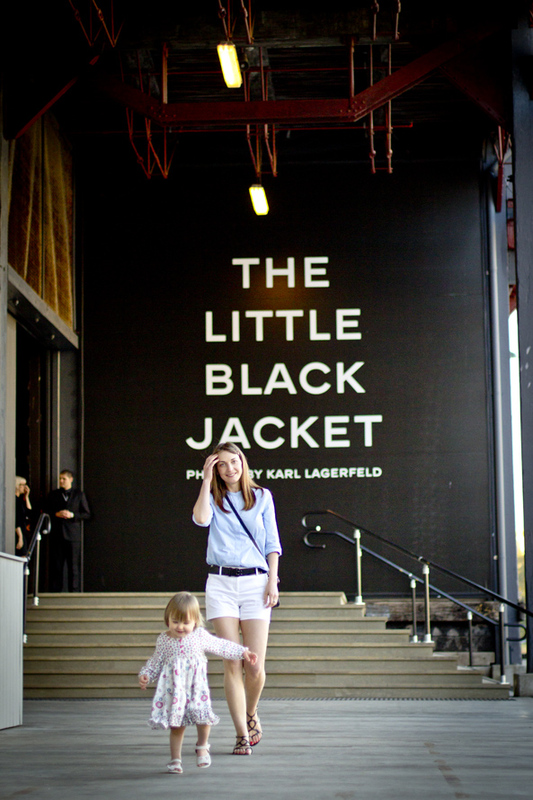 True to our usual form, we ran in into The Little Black Jacket Chanel Exhibition just one hour before closing time on a the final day. Karl Lagerfeld is a surprisingly accomplished photographer and Carine’s styling is beyond exceptional. 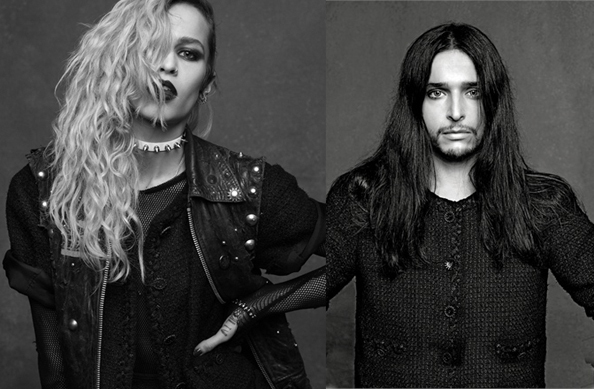 But as a long time fan of Chanel fashion house I expected more than just heavily photoshopped IT girls and Karl’s BFFs being photographed in the same jacket striking various ‘the pose’. 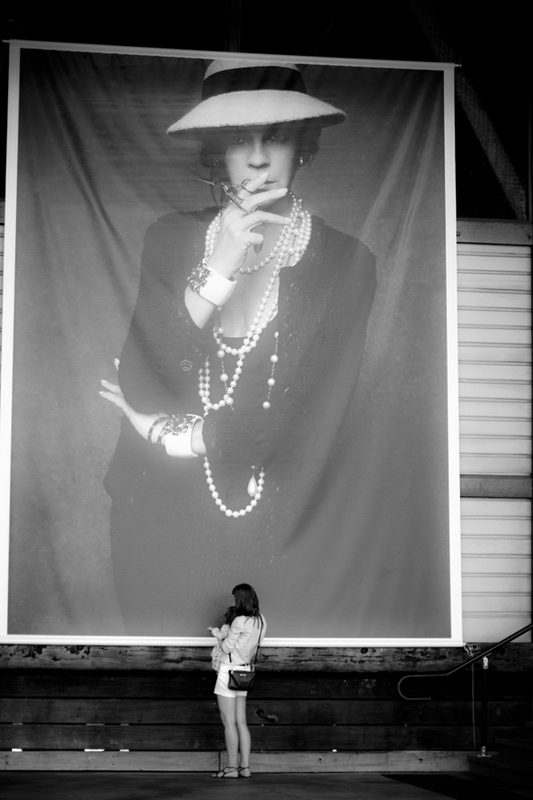 The rebelliousness of Coco Chanel was missing in that hall. That said, the photos of Yoko Ono were fantastic. Photography wasn’t permitted inside the exhibition. So to create these collages I borrowed a few TLBJ photos from Mr Google. 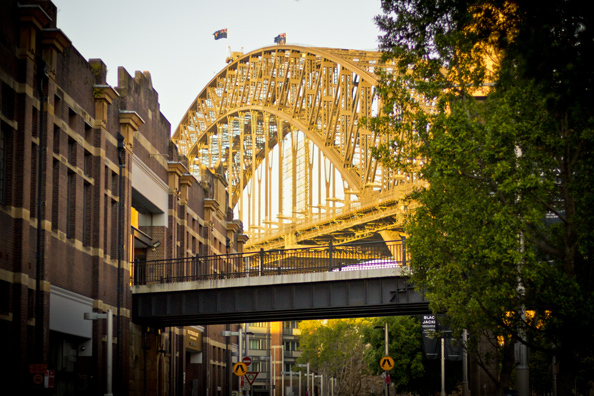 Photos of me – thanks to Joseph Pole and photo of the Harbour bridge is by me. Joseph and I still enjoyed the exhibition and Anastasia had a great time running around in the gigantic dark hall. What a nice Sunday family adventure. 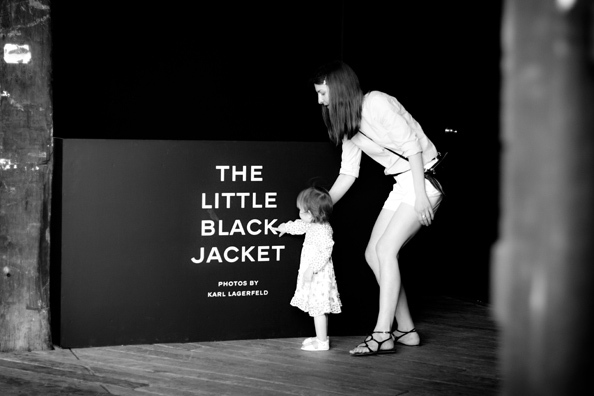 But was The Little Black Jacket exhibition inspirational? That’s the question. Love the chance to see this. Gorgeous pics & can’t believe how much Anastasia has grown! 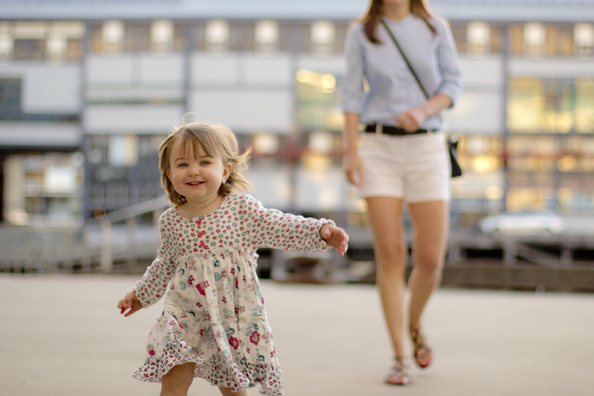 Have to be honest – your little munchkin steals this whole post! What a beautiful, gorgeous little sweetheart she is becoming! There were really more interesting photos shot by Karl Lagerfeld, but well.. They’re ok.
Awww I’m so glad you show us your little fashionista! Anastasia looks charming, such a little burst of sunshine. Adore the 1st picture.